Thank you for stopping by this special investigative report from The Converse Blog. Today we examine evidence that would seem to suggest that Glen "Big Baby" Davis has joined Team Converse. There has been no official announcement, therefore all of this evidence could turn out to be nothing more but a Converse coincidence. So I will be making my case to you this afternoon with visual evidence. Exhibit A has already been introduced, which is the picture of Big Baby with Rondo last week wearing a Converse shirt. 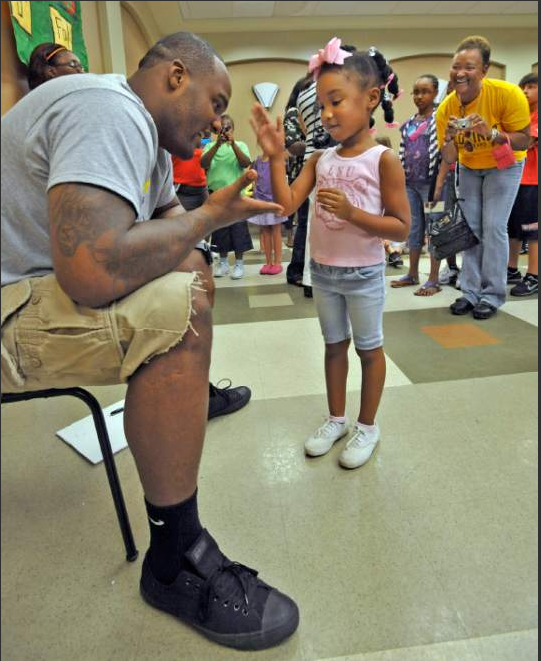 Why this is good evidence: Big Baby is seen below at one his charity events wearing a the Black Monochrome Chuck Taylor Ox. Usually players wear their sponsors to events, but not always. Why this is bad evidence: Lots of NBA players from the likes of LeBron James, Amare Stoudemire, Blake Griffin, and Kevin Durant have been photographed wearing Chucks, and unfortunately none of them wear Converse in the NBA. Also he's wearing Nike socks. 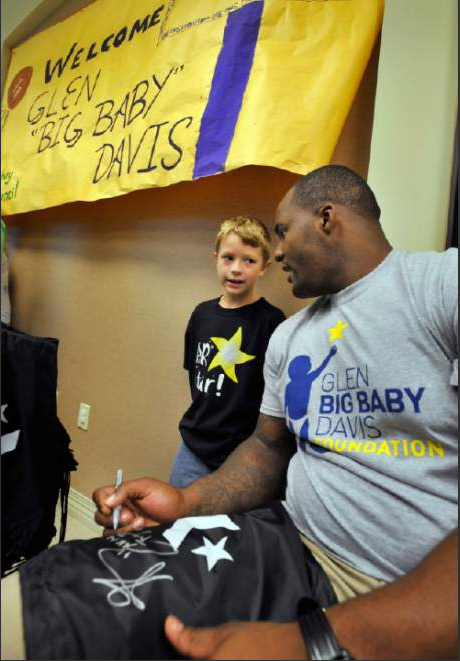 Why this is good evidence: Big Baby is seen signing autographs on a Converse backpack for students. Also you can see someone holding a bunch of them so it's not just this one kids' backpack in the picture. This picture, along with the Exhibit B were taken at the East Baton Rouge Parish Library's event “Score Big with Books.” Unlike other cities like Atlanta, Converse has not had a strong sponsorship presence in Baton Rouge. The only direct link to the event for Converse would be through Glen Davis. Why this is bad evidence: Converse has been known to work with events that do not directly feature Converse athletes, so this could be jumping the gun a little. 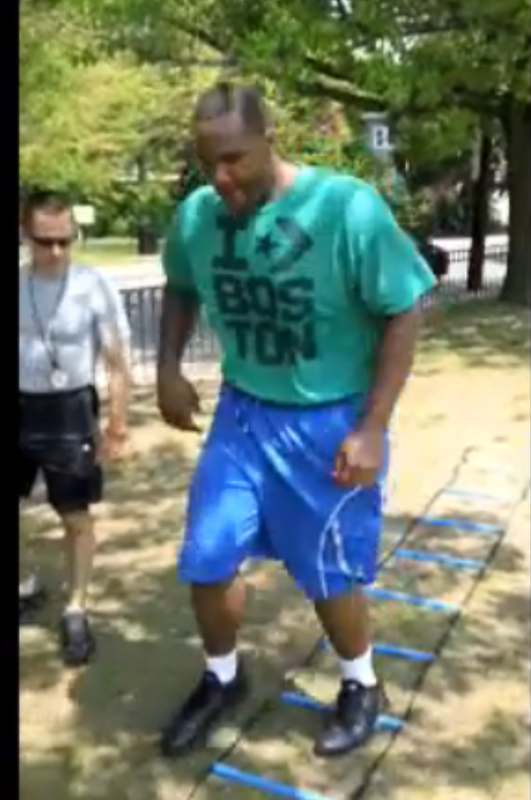 Why this is good evidence: Below is a grainy screen capture of Big Baby working out with his trainer. You can however see clearly that he is wearing a Converse t-shirt. It's not just any Converse t-shirt it's a I Chevron Star Boston T-shirt. Why this is bad evidence: This piece of evidence might be lacking in power. For starters Glen is simply wearing a t-shirt sold at Converse's Boston store, anyone could buy that and wear it working out. Also you can't make out what shoes he wearing, but there is nothing that screams Converse about them. Plus he's wearing Jordan shorts. Why this is good evidence with a counter point: True, but have you tried on any of the current Converse tiny man t-shirts? For Big Baby to have that much room in one of those t-shirts it's got to be a 6XL. Converse's biggest shirt in their stores is a 3XL, and it's the same size as a normal XL, therefore this has to be a special made shirt for Big Baby directly from Converse. Why this is good evidence: I've saved the most compelling evidence for last, the cardboard cut out. 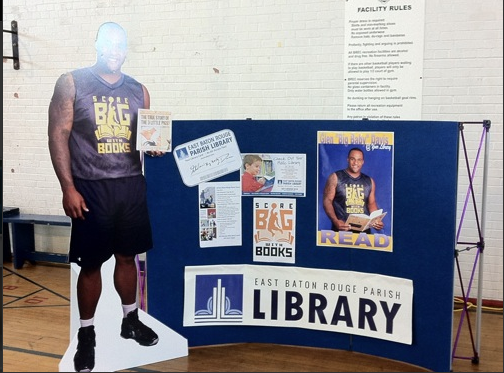 Below is a cardboard cut out presented again at the East Baton Rouge Parish Library for their "Score Big with Books" campaign. Big Baby is seen below wearing the Converse defCon performance basketball shoe. As previously stated, athletes wear Converse Chuck Taylor's around all the time, but usually not their performance basketball shoes. Plus he's wearing it for a promotional event, this seems pretty convincing to me. Why this isn't good evidence: This might not be the jury turning evidence that it's being made out to be. During last off season Chris Bosh was videoed training while wearing Adidas basketball shoes, but when it came time for media day and the season he was back in Nike. This doesn't prove anything. Closing argument: Honestly none of these piece of evidence alone are prove of Big Baby signing with Converse. However, I feel pretty strongly that these are much more then simple coincidence. I think the combined evidence is over whelming in favor of Big Baby signing with Converse. However, it is quite possible that Converse has been courting Big Baby and that he hasn't signed yet, or maybe not at all. I guess we'll just have to wait for official word from Converse...or as is more likely the case, just see him wearing Converse next season. You be the judge, let me know what you think? Is Big Baby with Team Converse or I am just wishfully thinking. Anything is possible but trying to figure out what the morons at Converse are going to do is a waste of time. I love many of the Converse hoes but I shake my head at some of the idiotic decisions Converse management makes. The moronic sizing of the shirts you mentioned is one example.